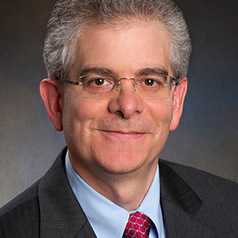 John Ayanian is the Director of the Institute for Healthcare Policy and Innovation and the Alice Hamilton Professor of Medicine at the University of Michigan. The Institute includes over 490 faculty members from 17 schools and colleges at the University. Dr. Ayanian has focused his career on health policy and health services research related to access to care, quality of care, and health care disparities. He has served in key health policy advisory roles to the federal and state governments. In addition to his medical degree from Harvard, he holds a Master of Public Policy degree from Harvard's Kennedy School.